Whyd just unveiled their secret hardware project — it is a high-fidelity connected Whyd speaker that combines voice recognition with the music streaming services out there. The Whyd speaker is a wireless home speaker with four drivers and a subwoofer which can be paired together over Wi-Fi just to create a multi-room system much like Sonos, with the added benefit of voice recognition. Before we get to the features, let’s talk about that design. 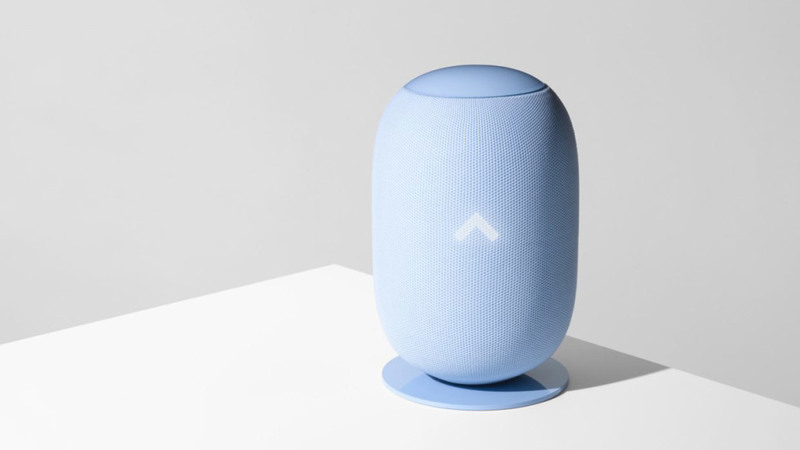 Its egg-like form, and bold colors are striking for sure — if the Ikea did wireless speaker, it might look like this. This speaker uses four 40mm drivers to pump out sounds in the 360-degrees, and there is a shiny glass touch-sensitive button on the top so you can control your music with the gestures. The Whyd speaker connects over Bluetooth or Wi-Fi, works with Spotify, AirPlay and Google Cast Connect, and can stream music from many different music streaming services out of the box. Whyd speaker is compatible with Apple Music, Spotify, Google Play Music, Tidal, Deezer and SoundCloud. But the main differentiating factor is that Whyd has been working on natural language processing, also integrating with the Google Cloud Speech and optimizing for music playback. The company wrapped multiple microphones and optimized them for long-range queries along with noise cancelling tech. This way, you can launch a playlist and play a specific song or just look up an artist with your voice. If you just want to play an obscure remix on SoundCloud, you do not have to dig around in the SoundCloud app, you can look it up with the voice. Think about it as a sort of Amazon Echo, but with a better sound quality and a focus on music. You can preorder Whyd for $299, a noticeable discount from the $499 retail price it’ll hit shelves with when it is released sometime before the end of the year.